Great wedding photographs don't just 'happen'. A nice shiny digital camera is not a guarantee that you will have stunning images to remind you of the most romantic day of your life. Neither will a photo editing programme with a whole host of 'quirky' filters. To ensure high quality, unique photographs requires planning. It takes extensive knowledge of how to get the best from a photographers equipment, as well as which poses will work best for each bride and groom. It takes an almost-obsessive understanding of light and how to use it best. 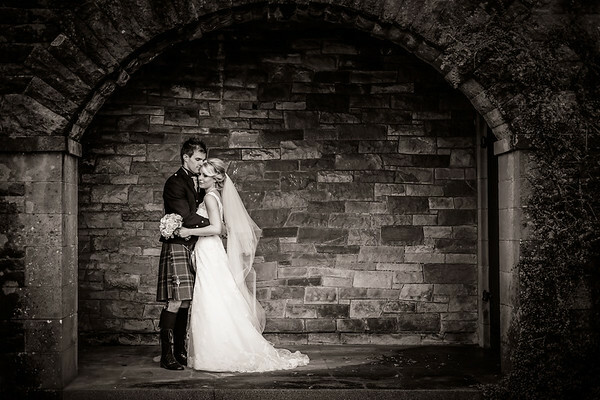 With KSG Photography, you will benefit from over 20 years experience in learning my craft in such diverse areas as landscape, extreme sports, fashion and event photography - each playing it's part at some point during your big day. You will have a photographer who is experienced at working with clients from all walks of life from members of the royal family and world leaders to nurses, soldiers and shop workers - everyone is treated equally. All my wedding storybooks and albums are hand-crafted, in Italy, to the highest standards by the World's foremost supplier, Graphistudio, and are completely customisable from almost 40 million options. This means that your storybook will be as unique as you are and will provide a beautiful, lasting way to remember your wedding day for you and your family. Prices start from just £1598 for full-day coverage and £1198 for half-day coverage. To check availability and arrange viewings, please use the contact page.